This guest post was contributed by Dr. Alex Schechter from Off Leash Veterinary Care in New York. There is nothing quite like having your pet by your side to ease even the most fearful flyers. But whether hopping on the subway or jet setting to escape the winter weather, being unprepared can quickly turn your trip from peaceful to panic-filled. Don’t start calling the petsitter just yet! Off Leash put together a go-to pre-travel checklist for a stress-free, and safe trip. The stress of traveling coupled with a new and strange environment can trigger the expression of an underlying condition in your pet. To minimize the risk of any unexpected problems, make sure your pet is up to date with their bi-annual wellness check or schedule an appointment. Certificates of veterinary inspection, required for out of state travel only, confirm that your pet has been recently examined, is free from signs of infectious disease, and is up to date on vaccines. Health certificates must be obtained through a specially licensed veterinarian at least 10 days prior to travel. Can’t make it to the vet and still meet your work deadline? Don’t stress! Off Leash vets are licensed and can come straight to your home or office at your convenience. Medication is an option for anxiety or motion sickness in pets. Since adverse reactions to medication are unpredictable, never try a new drug on the day of travel. If you have any particular concerns, discuss with your veterinarian and develop an action plan to keep both you and your pet safe and relaxed. Remember to be sure that all prescriptions are up to date and refilled prior to travel. If your pet is not a certified ESA animal, the airline will require him or her to be in a soft or hard kennel that is well ventilated and leak-proof. 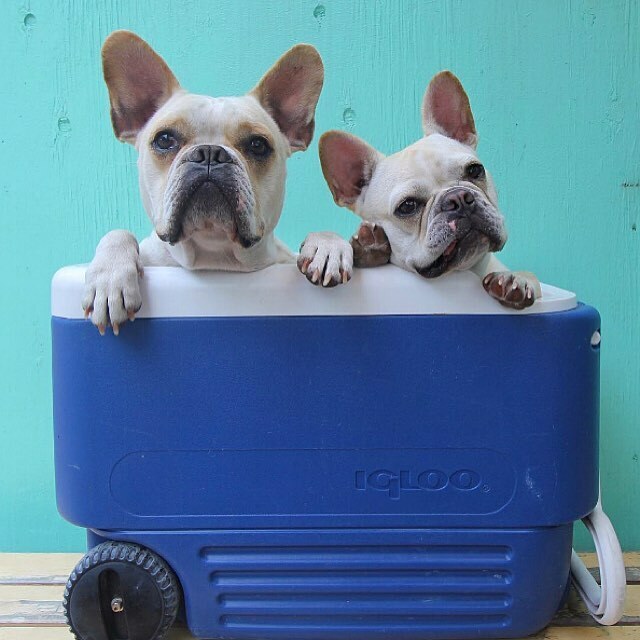 Larger pets will most likely have to travel as cargo in a USDA-approved hard kennel. We’re big fans of Sherpa’s Snoozer Wheel Around. Any carrier should be properly labeled with your name, your pet’s name, and an emergency contact number. Always check for additional restrictions and regulations with your airline in advance of travel. Similarly to all the books and movies you downloaded for your trip, your pet needs their fair share of entertainment. Make sure to pack your pet’s favorite toys in an easily accessible place. Avoid new toys or treats to prevent unforeseen choking hazards or gastrointestinal upset. The physical demands of air travel, as well as adding stress and panting, increases our pets’ energy and water demands. Make sure to offer ample food and water within 4 hours of travel. Small, travel-friendly dishes should be available at all times during the trip.